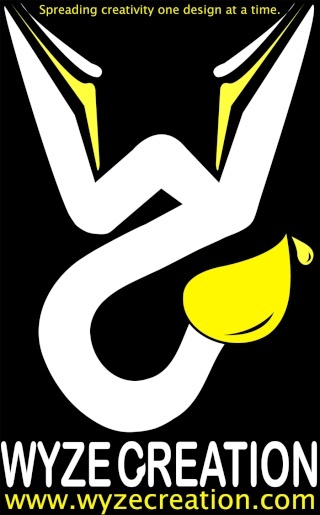 We are Wyze Creation a streetwear clothing brand for men and women. Our goal is to spread creativity amongst individuals to help inspire and influence them to utilize their creativity to their fullest. Whether it means to think outside the box or put their own twist on whatever it is that they are good at. We believe being artistic and creative can come in many forms, which can lead to innovating ideas that are the future. We like to call our designs complexly simple which means as you look at it from a distant you see one thing but as you analyze it more you start to see more intricate details. In our designs we like to include several images of artistic mediums such as paint brushes, spray cans, paint drips and more in order to help encourage people to not only use the analytical side of their brain but to use their creative side as well. great art pieces bro. keep up the amazing work, and keep us posted with the progress!